Regular use of hair masks not only heal damaged and broken hair but also moisturize and hydrate the scalp, making the hair growing cells more effective. It also prevents dryness, dandruff and premature aging of hair. 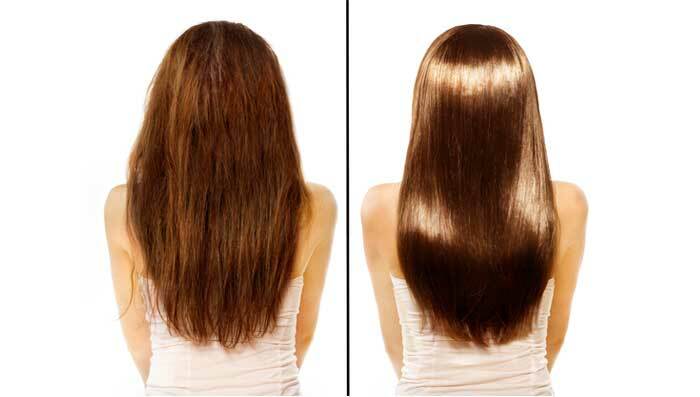 Let’s take a look at some of the benefits of hair masks in detail. Regular use of hair masks, which is at least twice a month, can promise a sea-change in the quality of your hair over a period of time. The hair will not only become soft and smooth but also look and feel healthy. Natural shine and strength of the hair also increases when you apply hair masks on a regular basis. Rather than looking for time to go and sit in hair parlors, churning out hair spas at home is a very fast and easy process. With the available ingredients in the kitchen, the hair spa is also an enjoyable process once can follow over the weekend while managing household chores alongside. Hair spa is a very relaxing activity. Apart from nurturing the hair, the spa also helps relieve stress problems. Unlike high-end parlous products, doing hair spa at home is a simple process using only herbal and natural ingredients that are good for hair health. These ingredients are free of chemicals and do not have any long-term side effects. They are pocket friendly and because the remedy will be prepared by you on your own, chances of using adulterated or low-quality products go down to zero. While as easy as it may sound, there are a few tips as well one should take into account while doing a hair spa treatment at home. Do not overdo the spas as they tend to take away the natural moisture of hair. For healthy and stronger hair, just follow a spa treatment at home once week. Always make sure to concentrate on entire hair portion while applying a mask. Do not just focus on either the roots or the tips. Overall hair health should be looked into. It is perfectly okay to keep combing the hair while applying masks as it helps regulate blood circulation on the scalp. Make sure while taking out the mask, shampoo the hair properly in order to wash off entire grease from the hair. Otherwise, it will do more harm than benefit. If you have dry hair, it is perfectly okay to even sleep in hair mask and it can seep into the roots and you can discover shiny and soft hair after wash.